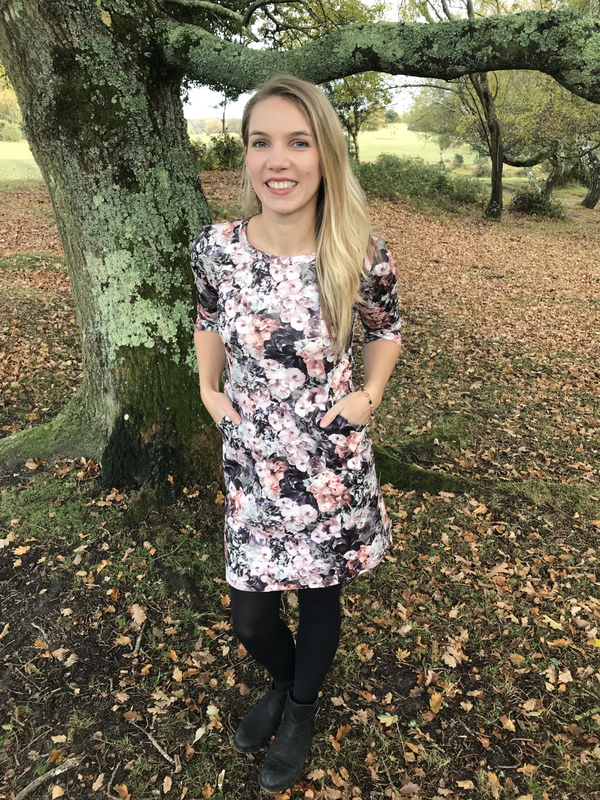 The Heather dress sewing pattern from Sew Over It is perfect for a confident beginner. 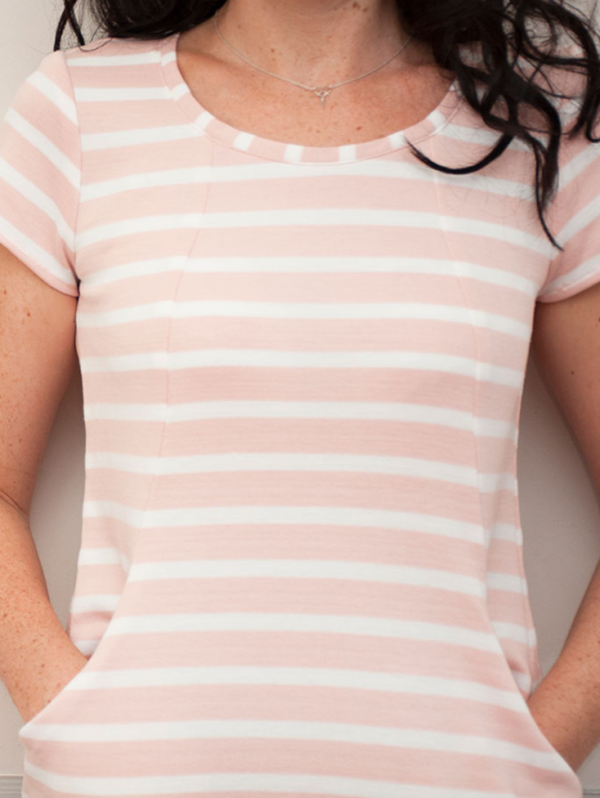 The dress has cleverly concealed in-seam pockets (who doesn’t love a pocket!) and a panelled bodice which makes fitting a dream. What we think: This has got great opportunity for some colour blocking to make a feature of the seam lines at the front. We think this dress has secret pyjamas stamped all over it! Suggested Fabrics: A medium weight knit fabric with a low stretch percentage, such as a ponte di roma, double knit jersey or interlock knits. This is a really cosy dress. I chose to do the contrast arms to use up some remnants I had and I quite like how it turned out. Despite a few comments that I look like I’m wearing a pinny, its a great comfy option for work that I’ve been wearing a lot. The pockets are fab, nice and deep. The pockets were definitely the most mind-bending part of this pattern. It’s not that they were particularly hard to sew, I just needed to go over the instructions a few times to understand what they were asking me to do. I didn’t actually end up doing it the way they suggest, but it worked so I’m not complaining! I have a grand total of four Heather dresses in my wardrobe now, and they are all worn in regular rotation. 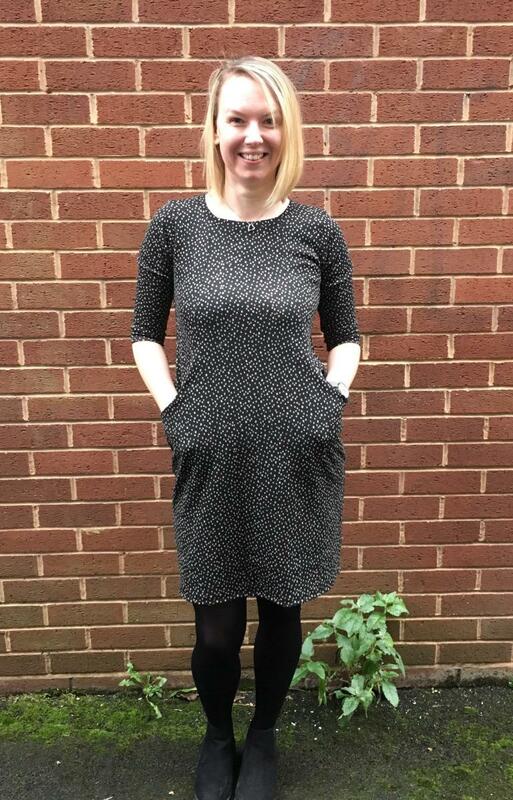 I’m not sure that my colleagues are aware that it’s basically the same dress that I’m wearing to work each day, but I love the fact that it’s a pattern that’s comfortable, well-fitted with lovely princess seams (that you can’t really see in this busy print), a relatively easy sewing project and can be dressed up with a jacket but is just as easy to wear at the weekend curled up on the sofa. Definite secret pyjamas. 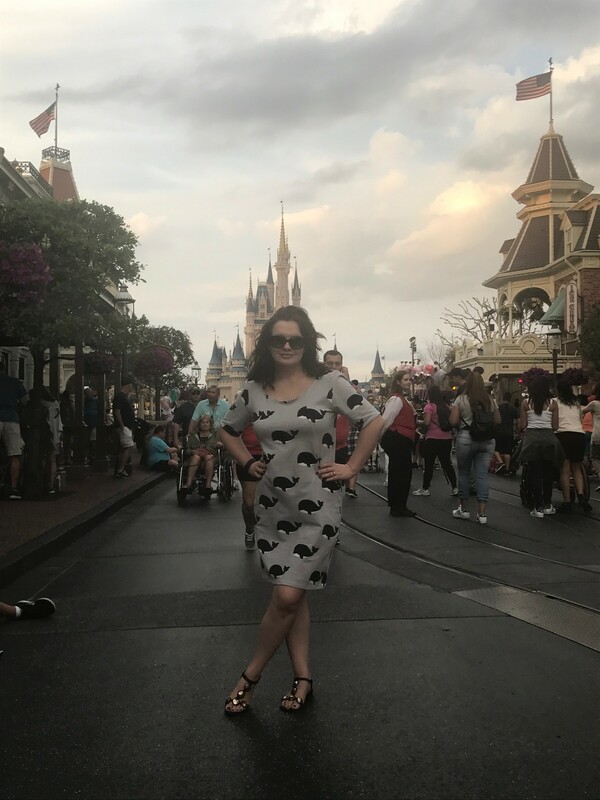 I’m short (5’2″) and have – very unusually for me – lengthened the dress pieces. In my mid-forties, that’s probably just the style choice I’d make, but if I find it a little on the short side then people of average height are likely to as well. The other piece of advice is to find the right fabrics for this pattern – you need a good chunky knit fabric, like a ponte or sweat-shirting I think – not too drapey, and able to hold its shape. Well this must be the comfiest dress I’ve ever made! I decided to make the Sew Over It Heather dress in this stunning pinky floral scuba called ‘Secret Garden’. I thought it would be the perfect combination of comfort and style to see me through some chilly evenings to come! The pattern is a semi-fitted jersey dress with in seam front pockets. It has panels that make up the front and back which is how you get the shaping and it’s finished with a neckband and a choice of length sleeve. I went for the 3/4 length as I thought this would be perfect to wear with a nice jacket on a night out. I’d not sewn with scuba before but I needn’t have worried – it was more similar to sewing with a thick woven than a jersey fabric as it was so stable, so it was very easy! The fabric isn’t too thick but it’s still a good weight and it’s got this lovely pink and purple floral design all over it. It was really easy to lay and cut out too. I used my walking foot on my normal sewing machine and a size 80 stretch needle, both of which worked a treat with this scuba. A cosy, comfy, warm jersey dress just sums up the Heather dress. 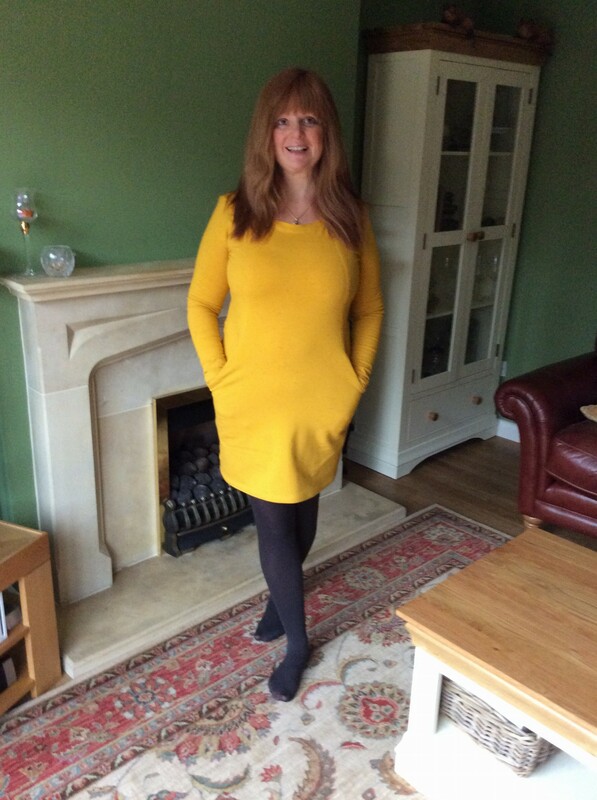 I fitted a size 10 in this ponte roma jersey which is my usual pattern size in Sew Over It. However be careful when choosing sizes because if the jersey has more stretch it can alter the sizing quite a lot. When first looking at the pattern pieces it was rather confusing but once I’d matched up the notches all became clear. Do not skip the notches! The princess seams give the dress a beautiful close fitting line and also include the best deep pockets I’ve ever made! Fitting the neckband took several attempts and I’ve concluded that you need to cut down and stretch the neckline quite a bit for it to sit flat. The pattern piece doesn’t have size marking as it does depend on the stretch of the jersey. The length is good, mid thigh which is acceptable with tights. If I was planning to wear it without tights I would maybe add a few cm to the length. There are options for sleeve lengths, I went with the 3/4 sleeve and they fitted perfectly. This dress has a bit more ease than other Sew Over it patterns, I should have made a size smaller than what I usually do for patterns of this brand. I sewed my regular size 14 bust and waist and 12 everywhere else. I have several fit problems, that would probably be solved if I had sewn a smaller size. I need a small shoulder adjustment, I need to shift the shoulder seam a few cms to the front, I need a sway back adjustment and I need to reduce width along all the body. I wouldn’t change sleeve width though, they’re great as is. I read somewhere (can’t remember where) that they found funny that the dress only fits when you’re using the pockets, and that is definitively the case with my dress. The pattern recommends pressing the seams to the center, yet as my center pannel fabric is thicker than the side pannel fabric, they flip on me to the opposite side. I should have just pressed them to the side they wanted to go. The side pannels are jersey and the center is ponte roma. I loved this pattern so much when I made a long sleeve winter version, that I knew my wardrobe was going to have to have a summer version as well. 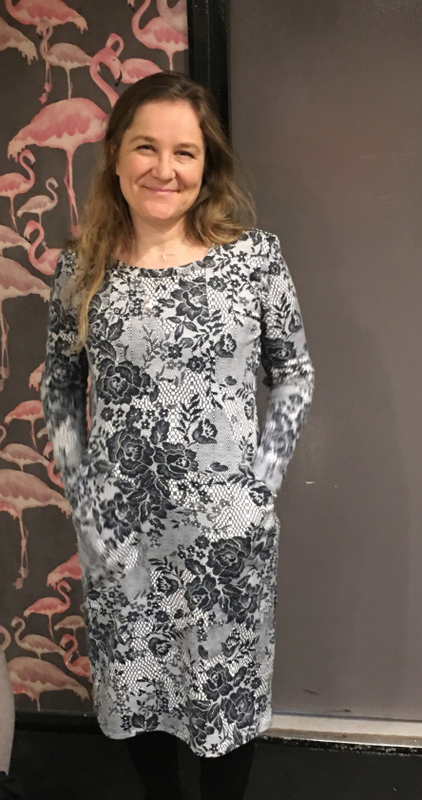 This pattern is perfect for dressing up or down and is definitely one that can be classified as secret pyjamas because it’s so comfy, but looks totally put together. Sewing it takes very little time, the only tricky part I find is getting the corner of the pocket looking perfect, but taking that step a wee bit slower is all that is needed to get it done. I sewed this one up in a straight size 20 except for taking off just shy of two inches on the hemline. 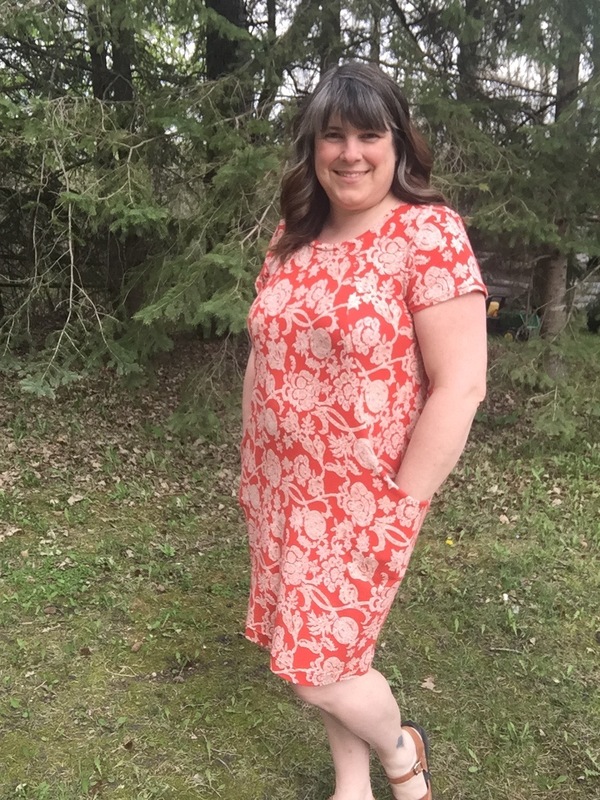 I highly recommend Sew Over It’s Heather Dress! 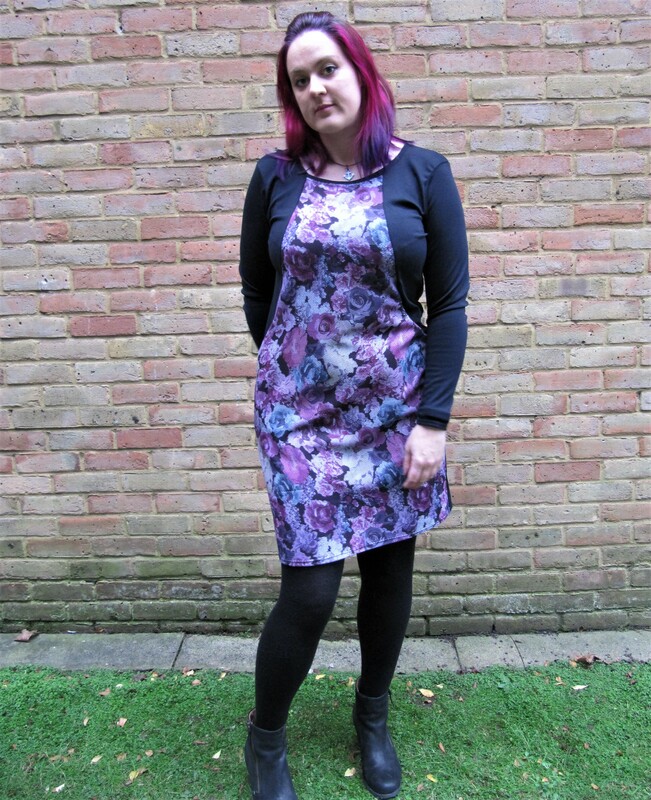 The Heather dress by Sew Over It is a great pattern for beginners / intermediates to expand jersey dressmaking skills. Being a knit pattern the most important call out I would make is buying enough fabric! I made version 1 (non-colour block) and for my size that requires 1.9 meters of fabric. I bought 2 meters, washed at 30 degrees and did not tumble dry. The fabric shrunk to 1.75 meters. Luckily i’m only 5″3 so I was able to take 4 inches off the length and I wanted a summer version so I reduced the length of the sleeves. With both these I these adjustments and some imaginative pattern placement, I just managed to fit the pattern onto the fabric. So lesson learnt – jersey can shrink a lot! This was my first Sew Over It pattern after joining the pdf club. The instructions were clear and the pattern printed off and cut easily. I cut my normal size UK 12 and after sewing the teal one first (ponte roma from Guthrie & Ghani). I thought I would make one in black with ponte roma I had been given. I just took quarter inch in on the side seams and reduced the neckband by 1″. The pattern instructions tell you that you may need to tweak the neck band dependent on the fabric and after making one I knew it needed to be smaller. The third one I made in a fine Jersey (John Kaldor). I had never sewn anything flimsy before was fairly easy to sew. I am learning and the tips in the Sew Over It patterns helped me to finish garments that fit and I am pleased with. I used a twin needle which was a first to stitch the neck band seam down, and the hem on the sleeves and the dress. Everything matched perfect at the side panels and the sleeves. 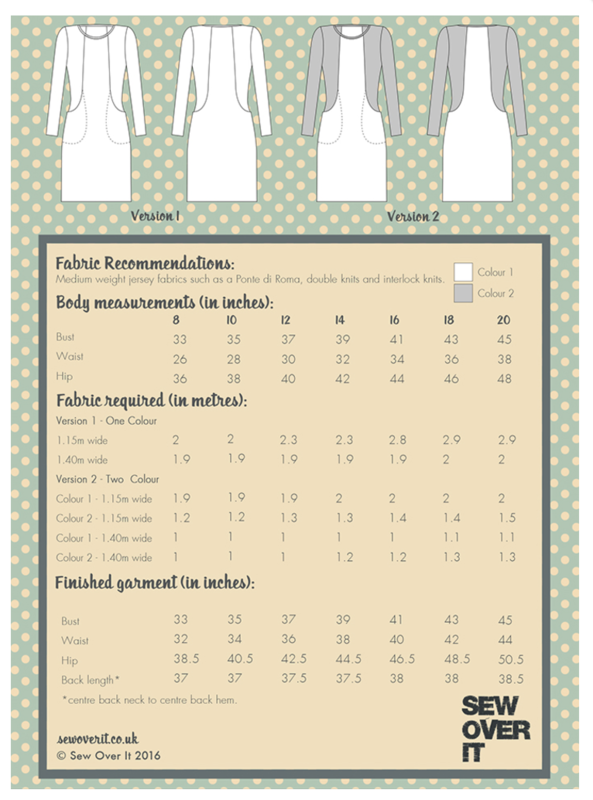 I am now a big Sew Over It fan and have another 4 of their patterns, I have bought the online Chloe Coat tutorial. Another favourite design by Sew Over It. As usual the instructions are excellent. I’ve made 2 of these so far. The first, the navy 2 fabric pattern was my first and was made as a wearable toile. The pattern was longer than I was expecting, all versions I had seen already appeared to be more tunic length than knee length. I prefer the shorter style for Winter, to wear with thick tights. I also needed to grade because I found the pattern to be very hippy. It’s a super comfy dress, like wearing pyjamas. I think I’ll live in these this Winter!